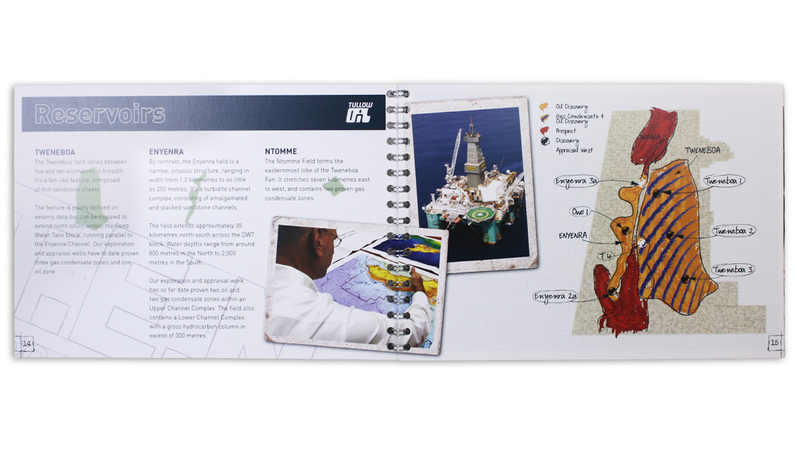 Tullow Oil enlisted the support of Myriad Global Media (MGM) on their revolutionary T.E.N Project, creating a selection of wonderful communication solutions that documented and relayed key milestones to audiences around the world. 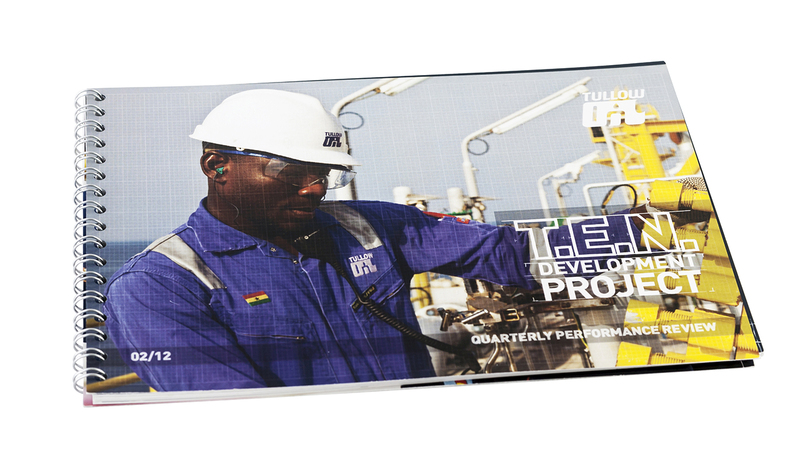 The T.E.N project delivered its first oil on schedule in August 2016, after nearly 28 million man hours of work. It began in May 2013, when the development plan was signed off and then in October 2013 the Centennial J Tanker arrived in Singapore for its huge transformation. MGM was there every step of the way, filming the construction process, visits from government ministers, and the installation of the worlds largest turret. 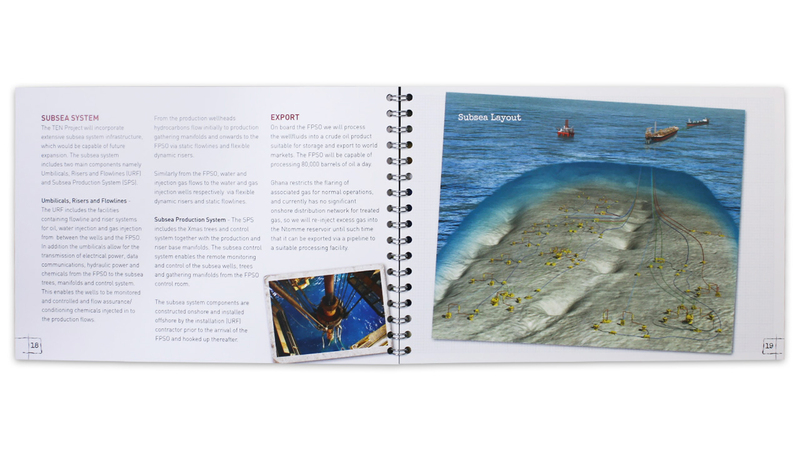 Some incredible footage was captured along the way and Tullow’s TEN project team asked Myriad Global media to develop a diverse range of corporate communications tools – including booklets, posters, video, artist impressions, film and presentations – that would form a complete communications toolkit. 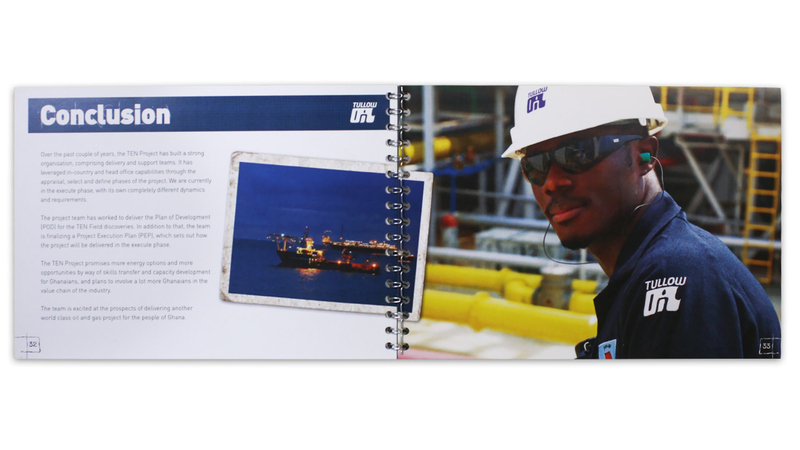 All materials took account of Tullow Oil’s brand guidelines, and drew on Myriad’s extensive knowledge of HSE and the projects and countries involved. This enabled the creative team to develop relevant and engaging content that would connect strongly with the project’s target audience.